Scrapbooking doesn’t have to be complicated. Sometimes less is more. You’re ready to deal with those photos and unfinished projects. You’re ready to take control of your time and space. You’re ready to feel satisfied, full of pride that you’re efforts really matter! This is your exclusive invitation to easier, more meaningful memory keeping. With a Simple Scrapper Premium Membership you’ll learn how to release the guilt in memory keeping and focus on what matters most to you. You’ll receive the guidance and support you need to save time and scrapbook more of your memories. Simple Scrapper helped me accomplish more than I ever have in the past. – Debra W.
[toggle hide=”yes” border=”yes” style=”white” title_closed=”Get Started with Ease” title_open=”Get Started with Ease”]There’s so much information and inspiration today that it can be overwhelming. Our monthly magazine (a tablet-friendly PDF) will be the resource you rely on to quiet the noise and propel you into action. Plus, you’ll also get access to members-only challenges to get you scrapping. [toggle hide=”yes” border=”yes” style=”white” title_closed=”Find Design Confidence” title_open=”Find Design Confidence”]You see beautiful pages in the galleries, but you’re not quite sure how to get the look. Page composition can be a challenge, but we have a time-tested solution. Each month members receive five new page sketches to take the guesswork out of designing a page. Plus, digital scrapbookers also receive layered PSD versions of each sketch! [toggle hide=”yes” border=”yes” style=”white” title_closed=”Always Know What to Say” title_open=”Always Know What to Say”]Members say one of the highlights of the membership are the Story Starters, a monthly set of page and project prompts to inspire and challenge you. You’ll have access to them all (plus three previous years), no matter when you join! This year’s themes include: lists, true love, back in my day, right now, you & me, time after time, on the road, back to nature, at school, connections, little moments, magic. [toggle hide=”yes” border=”yes” style=”white” title_closed=”Finally Get Focused” title_open=”Finally Get Focused”]Over the past five years, I’ve heard your pleas. You can’t keep up. You still love scrapbooking, but you get distracted and sometimes even frustrated. With our core curriculum, called Focus, you’ll tackle twelve of the most common scrapbooking roadblocks – like completing projects, not knowing where to start, and using your time wisely. Each video lesson and companion worksheet will build your skills and confidence. [toggle hide=”yes” border=”yes” style=”white” title_closed=”Feel a Part of Something” title_open=”Feel a Part of Something”]These days it can be difficult to find in-real-life friends to scrapbook with, but at Simple Scrapper you’re never on your own. Our supportive community is always available to help you celebrate your victories and work through challenges, plus we also meet “live” for twice monthly chats. [toggle hide=”yes” border=”yes” style=”white” title_closed=”Stay Motivated All Year” title_open=”Stay Motivated All Year”]Routine is awesome, but sometimes you need a big boost to maintain your enthusiasm. Members enjoy free invitations to our signature Start Fresh and Stash Bash events in January and July, plus receive self-paced access to the archives. We also host informal, small group Focus Circles throughout the year for encouragement and accountability. 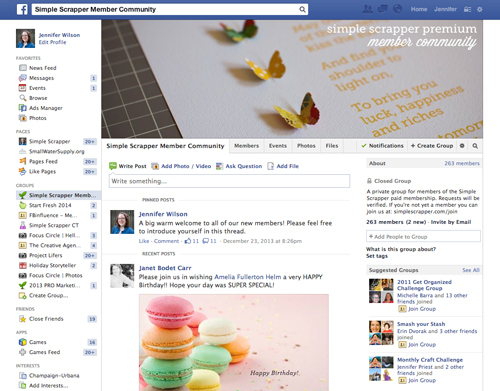 In additional to new content each month, membership at Simple Scrapper includes 24-7 access to previous monthly content, members-only classes, and special event archives. Our library includes hundreds of downloads that are ready when you are, including 125+ sketches and digital templates. 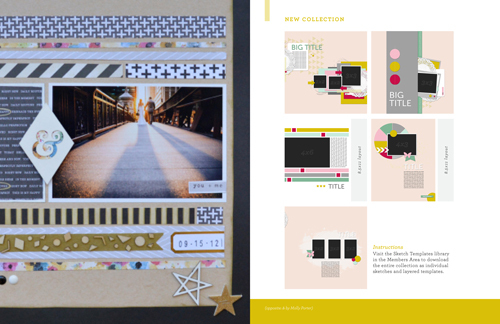 You are Welcome | Simple Scrapper is for any kind of scrapbooker, including paper, digital or Project Life. Our members include both new and experienced scrapbookers. Whether you make pages, mini books or photo books, all you need is a desire to focus more and stress less to be at home with Simple Scrapper. I want you to be 100% happy with your membership. If you complete our New Member Orientation and it just isn’t a good fit, you may cancel within the first two weeks with no penalty and receive a full refund of your first payment. 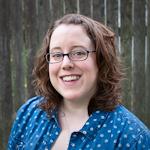 About the Instructor | Jennifer Wilson is a scrapbooking educator dedicated to helping women create space in their lives for scrapbooking and focus on what matters most. 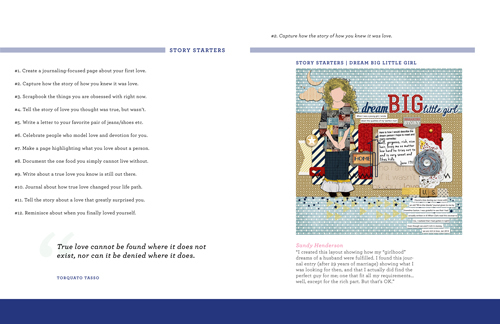 She is the founder of Simple Scrapper website and editor of the Everyday Storyteller idea book series. Jennifer has co-taught with Stacy Julian at Big Picture Classes, guest posted for Ali Edwards and Becky Higgins, and has appeared on the Paperclipping Roundtable podcast.